Home > 20th century > Whatever became of hit-parader Winifred Atwell’s saucy murals? 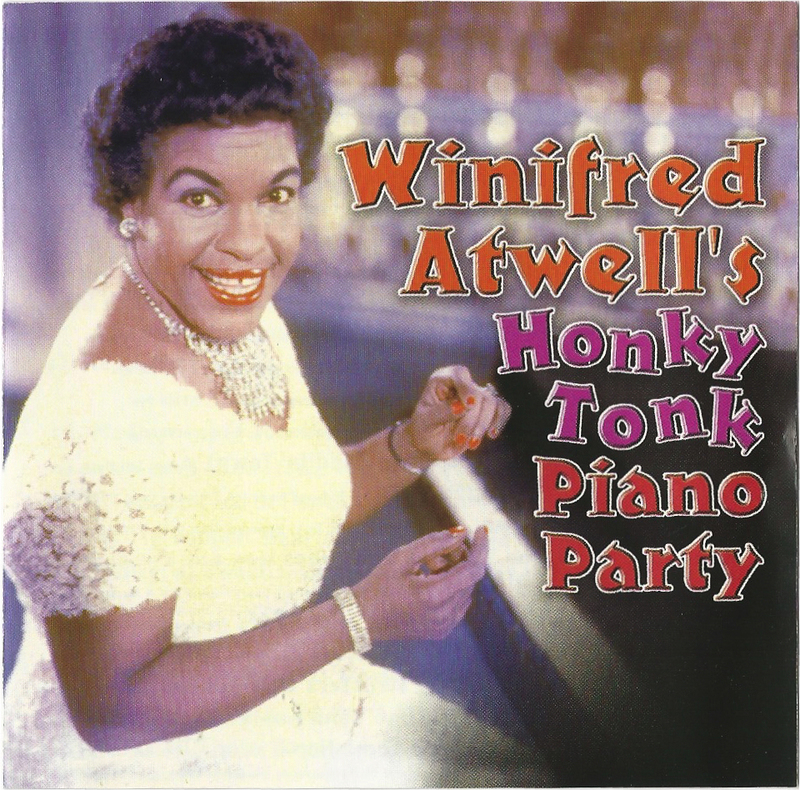 This fascinating article (below) by our friends at The Brixton Society does not say whether or not the 1950s concert-ragtime pianist/hit parader and million-selling Winifred Atwell lived locally. It seems at least likely, from what we read of Winnie’s hairdressing venture in Railton Road and of what she billed as her ‘other piano’, a battered upright complementing her concert grand, being bought in a Battersea junk shop. Winnie (pictured standing next to a seated customer) opened the shop because ‘there were no hairdressing salons for black women’. Winnie’s salon opened at the corner of Railton and Chaucer Roads in about 1956 and was sold in 1961. The premises were then, so Brixton Society’s Alan Piper tells us, occupied by a plumber’s merchant until destroyed in the April 1981 Brixton Riots. Alan remembers the premises as having a ‘rather splendid door handle based on the profile of an upright piano’ that survived the change of use but not, alas, the riots. And what befell the saucy murals of Winnie’s place when the plumbers too over? Could there be still be someone around, a woman who used to have her hair done at Winnie’s perhaps, or a hairdresser, or even a plumber who knows where the murals went? Surely not into a skip? 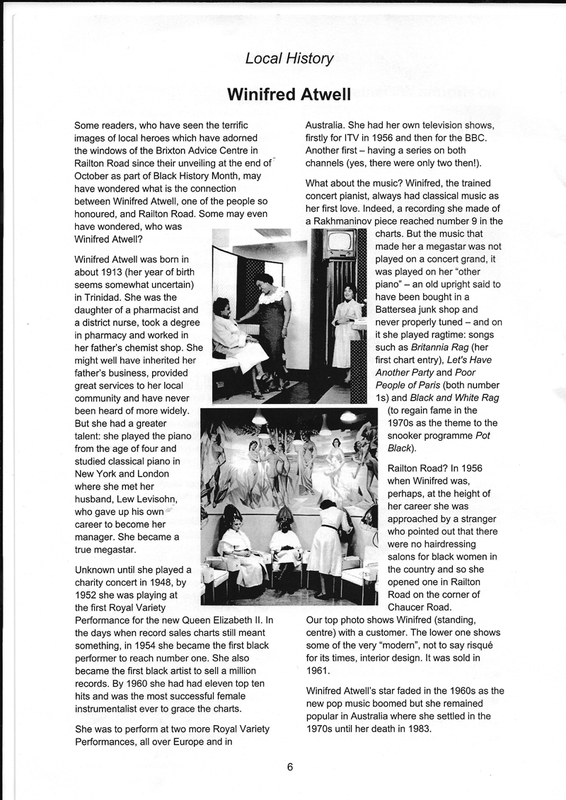 Our thanks to The Brixton Society for permission to reproduce this story from their quarterly newsletter.